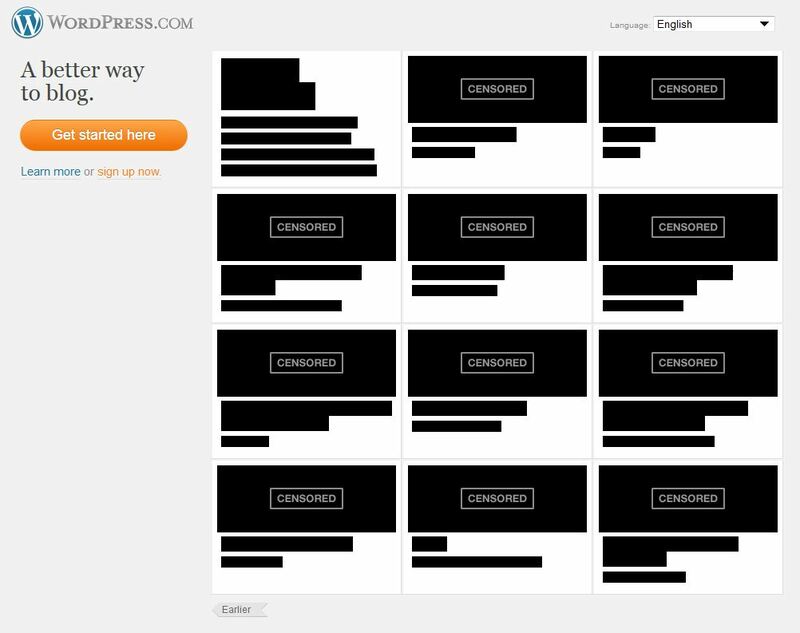 I’m so proud that the site that hosts this blog – wordpress – is blacking out for a day to protest SOPA, aka the censorship bill. The bill seeks to provide our government with an overwhelming “hand of God” that can create and destroy internet access as they please. Sure, the bill is targeted at specific piracy problems, but the unintended consequences that could limit free access to information as well as freedom of speech. Censorship is the opposite of education. It limits instead of educates. It allows for a small agency of really powerful people to decide what we can access. Sure, the intent is to stop only “specific piracy sites”, but we all know how good intent can get misappropriated for bad uses. Does this censorship battle sound like another place, another time in world history? Well, actually it’s happening right now. Right here.